All automatic titrators require regular preventative maintenance due to the harsh chemicals required in most titration processes. It is inevitable that your titrator will experience natural wear and tear after repeated usage. Knowing how titration methods can impact equipment over time, it is important to have a titration maintenance plan in place. This helps to ensure that the quality, operational, and financial goals of the investment are achieved for the long term. In fact, most labs must adhere to a documented preventative maintenance program to comply with Good Laboratory Practices (GLP) requirements. As a result, failing to have a preventative maintenance program is easy to spot during an audit. None of us want the above scenario to occur. So how do you keep your titrator operating efficiently and producing quality measurements for the long term? The answer is simple. Having a recurring titration maintenance plan helps to keep your titrator operating at peak performance. However, before we go over the perks of having a preventative maintenance program we must first take a look at how titration practices can affect titration equipment. How do titration methods impact your titration equipment? All commercially available titrators use standard glass in the dispensing burette. Constant exposure to harsh chemicals and titrants such as sodium hydroxide can create etches in glass over time. Other titrants can create problems such as air bubbles, clogging through precipitation, and leakage. All of these factors can impact the quality of your results and the lifespan of your titration equipment. Inaccurate results can be detrimental and costly. A good preventative maintenance program should perform at least one annual calibration on your titrator. 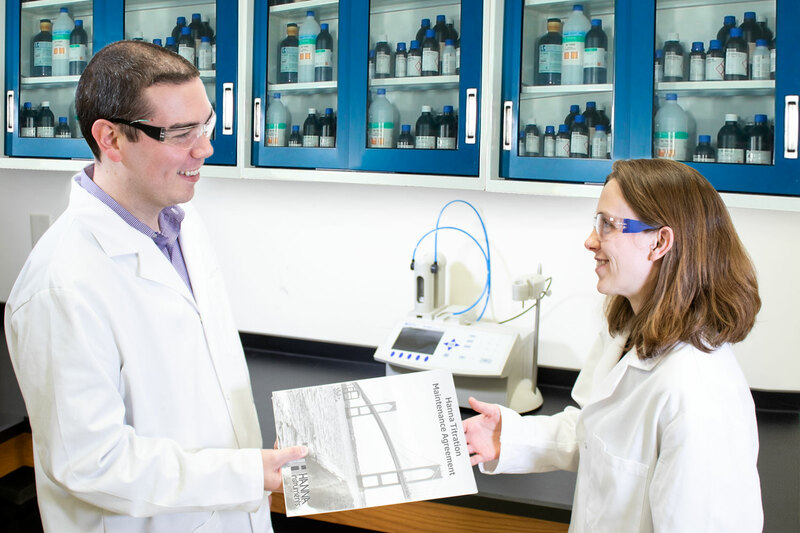 At Hanna, we do this for our titrator customers enrolled in our plan to ensure that the instrument’s precision is maintained to original factory specification standards. The harsh chemicals required in most titration methods and repeated testing can certainly do a number on your equipment. You should consider having an inspection performed. Oftentimes, replacing parts that have been impacted is a necessary step. No one wants to leave themselves susceptible to poor results because they neglected to inspect their titration equipment. A thorough yearly check-up, like the one Hanna provides, ensures that worn out parts are replaced. Keeping up with required maintenance can help optimize your titration performance and makes sure that you are getting consistent quality measurements. Compliance audits can be stressful, but having a preventative titration maintenance program can give you the peace of mind you need. A manufacturer's preventative maintenance program can oftentimes carry more weight with an auditor. Being able to show a certificate confirming system performance demonstrates real commitment to meeting the required standards. No business wants to incur unexpected costs for equipment repairs. Production should never stop due to titration lab equipment that is not working properly. We all understand how detrimental this could be in any industry. Regular titration maintenance and upkeep can help to minimize downtime. Having a preventative maintenance program is essential to protecting your investment for the long term. Not taking care of your titration equipment can pose safety risks. Having a titration maintenance plan can reduce safety risks from chemical handling, breakages, and leaks. Titrators also have informational risk and many clients have custom methods that need to be backed up. This circles back to the importance of protecting your investment for the long term. A titration preventative maintenance plan can help to prolong instrument life. 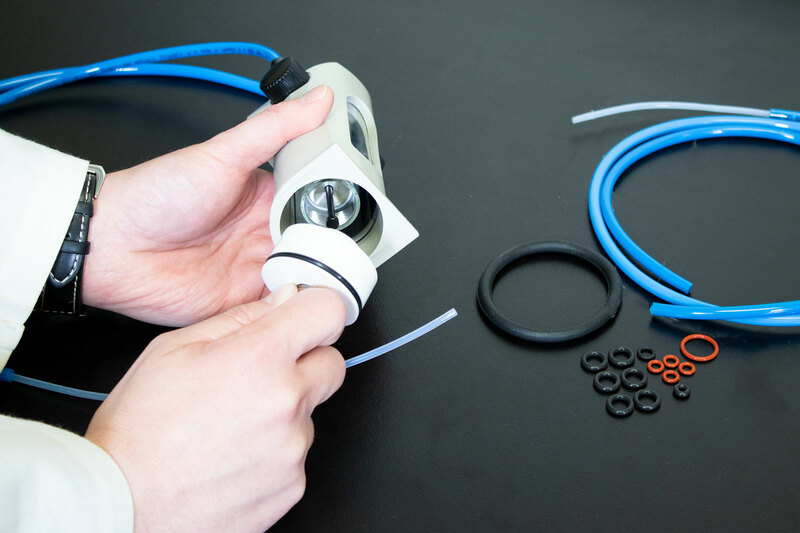 Calibration and the replacement of burette accessories that are showing signs of wear and tear also helps in keeping your titrator operating efficiently for longer. We at Hanna believe in regular titration preventative maintenance so much that we offer a Hanna Titration Maintenance Agreement for our titration customers. As a leader in innovation Hanna Instruments developed the HALO Wireless pH Meter, which uses Bluetooth Smart Technology to connect to Apple and Android devices running the Hanna Lab App. 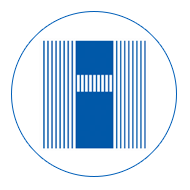 Continuing with this tradition, the Hanna Instruments Blog is devoted to sharing the latest in product overviews, how-to guides, and industry specific news to our ever-growing audience.